Developed 102 projects throughout 26 years of operation, more than 110,000 condominium units as a “home” for urban residents. 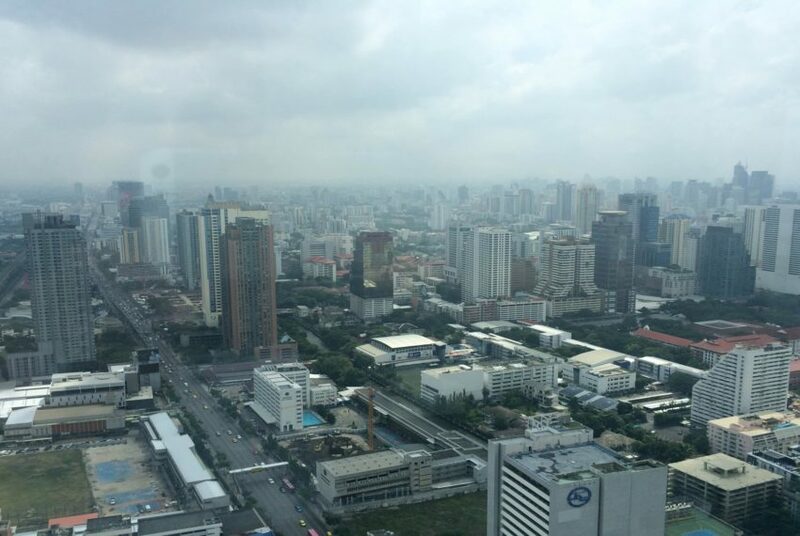 In the first 5 year of its operation, the Company was granted to be registered in Stock Exchange of Thailand which was the living proof of outshining efficiency of the Company. Being the Public company is a stimulation drive for the management and working team to use their best efforts for the figure satisfactory to the shareholders and also to become accredited to and satisfied the customers. At the present, the Company has many completed quality projects and on-progress ones. There is a community management team on site to ensure that the community is managed along the same line as the “vibrant community”concept. Condominium Juristic Person Committee, joint owners and residents play an important role in creating vibrant community for all through providing suggestions and collaboration. 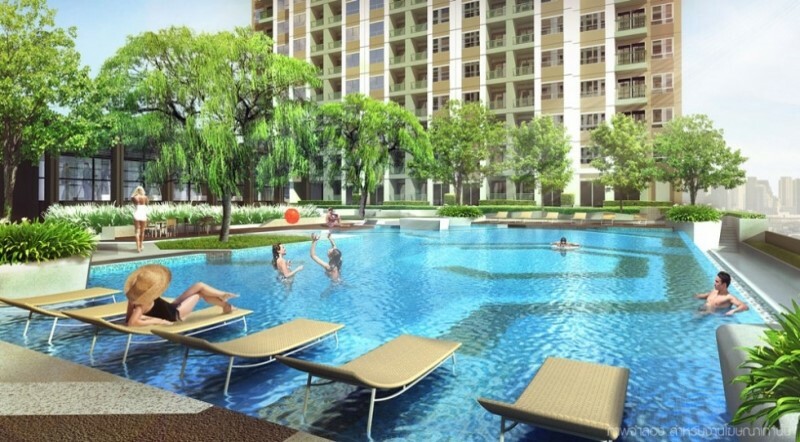 “Vibrant Community” starts with the design of condominium unit that is functional and comfortable. 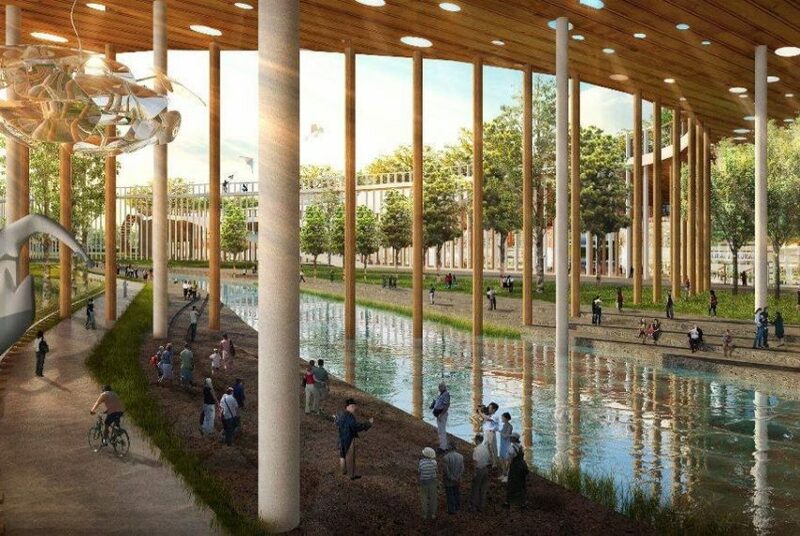 Convenient facilities and common areas are fully utilized to encourage participation in the community and fulfill the life of the residents in all aspects. Young, busy professionals particularly love this decorating style since the space is convenient to keep clean. With an eye on child-safety, Lumpini suite design is ideal for your children, they will enjoy the modern design and have a safe, happy life. Lumpini Suite interior not only looks great, it also has several benefits. First, an uncluttered, clean space is known to increase our happiness and health. This pared-down aesthetic exemplifies simplicity at its best! a trend that continues in almost everything we appreciate today. Stretches all the way from the east side (called ‘New Petchburi’ or ‘Petchburi Tat Mai’) to the west side of the city (just off Ratchathewi Road), making it one of the longest roads in Bangkok. 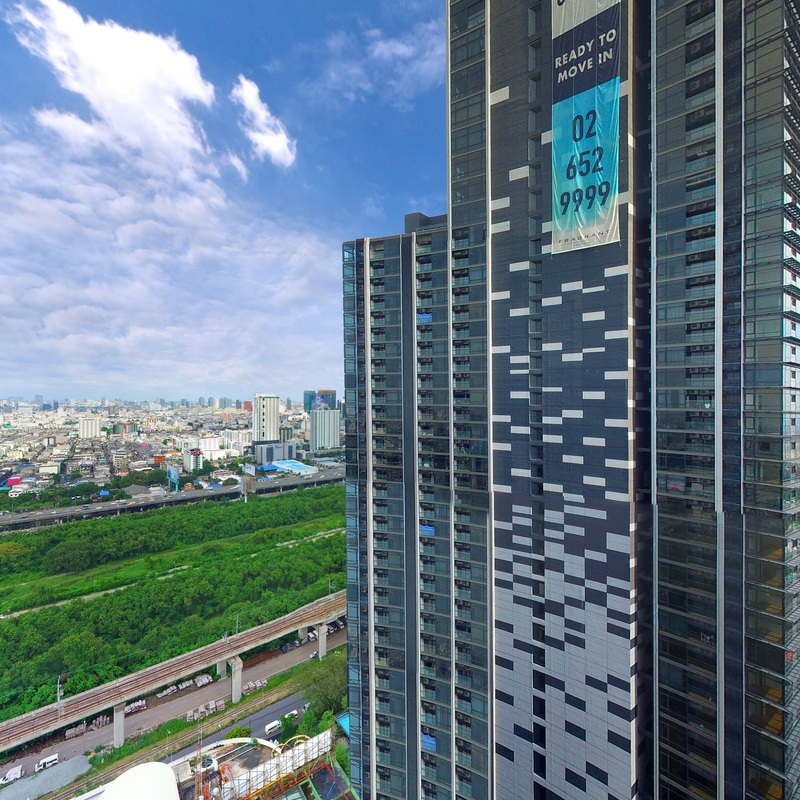 (It’s not a congested area) Its close proximity to the Pratunam, Chidlom-Ploenchit and Siam areas of downtown Bangkok is possibly Petchburi’s biggest selling point. Be it shopping, eating out, fine accommodation – hotels and, especially, serviced apartments – fun activities or entertainment for the whole family, the area is packed with all the essentials. Its best-known feature is undoubtedly Pantip Plaza, an IT and electronics mall where you can literally find anything technology-related at unbeatable prices. Siam Square is unquestionably the centre of shopping in Bangkok, home to some of the city’s most popular and important shopping centers like MBK Center, Siam Discovery Center, Siam Center, and Siam Paragon. 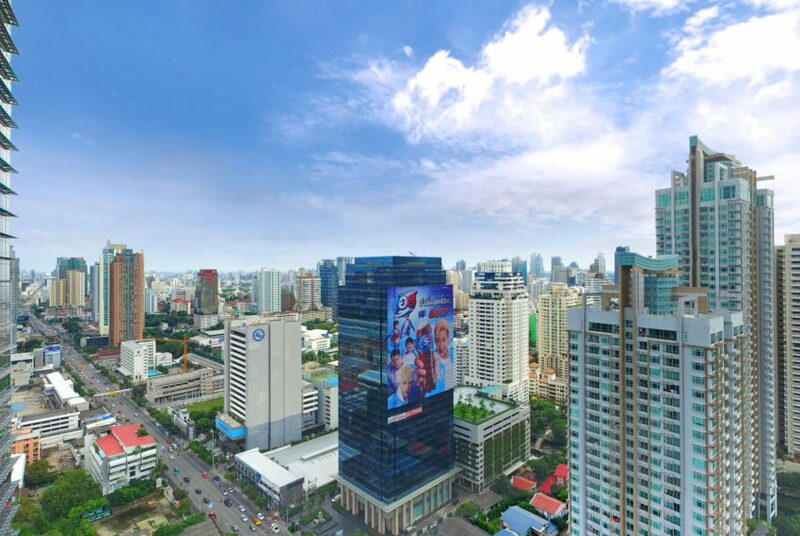 Within Siam Square itself, there is a wide range of shops and services, including restaurants, cafes, designer clothing boutiques, record stores, cinemas, bookshops, a Hard Rock Cafe, hotels and banks. The shoppers vary from young-aged school and college students to office workers, trend-setting city dwellers and, of course, throngs of tourists. Given Thailand’s warm and humid weather conditions Lumpini’s brilliant L-shaped plan, opens up the 10th floor to embrace the pool terrace and courtyard, taking advantage of the surrounding vistas and benefit from natural cross ventilation “Natural Breezes” – a must for tropical living. Allowing the comfort and natural flow into each other without compromising occupant comfort. L-shaped volume is chosen to maximize and create expansion views of outdoor surrounding area. 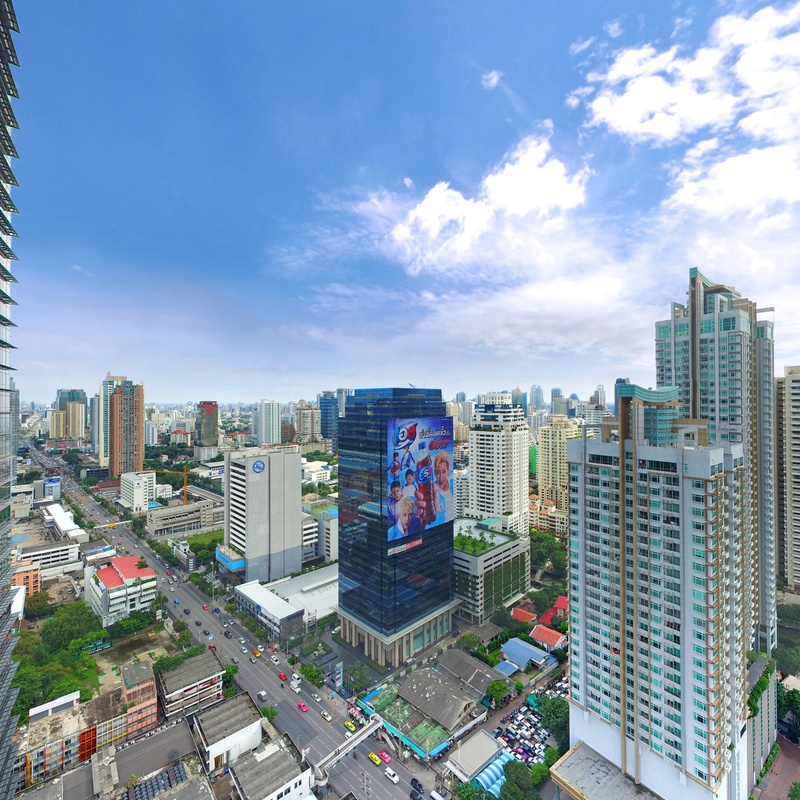 All units are positioned North or South offering unlimited unobstructed views whether it is the breathtaking Makkasan area or the dynamics of Sukhumvit and Greater Bangkok. 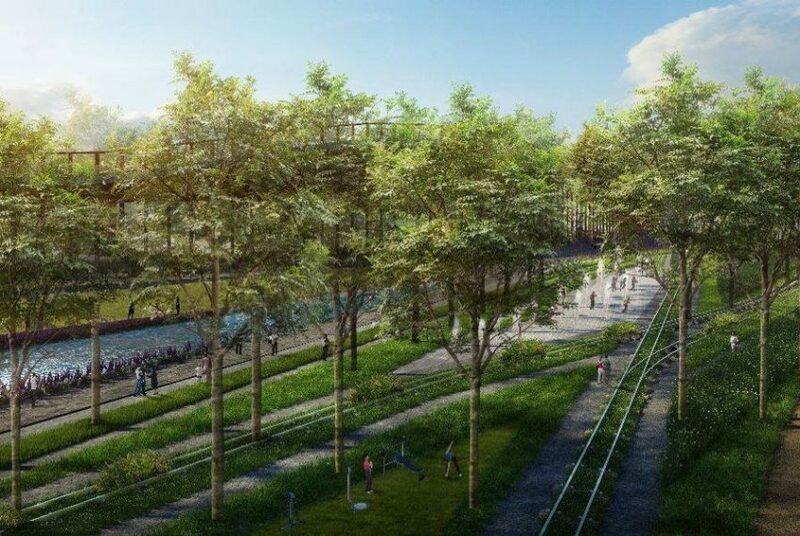 The State Railway of Thailand (SRT) is looking to redevelop Makkasan rail depot, a 600-rai plot of greenery situated in the heart of the city, there are countless reasons why we should keep this patch of prime land green. 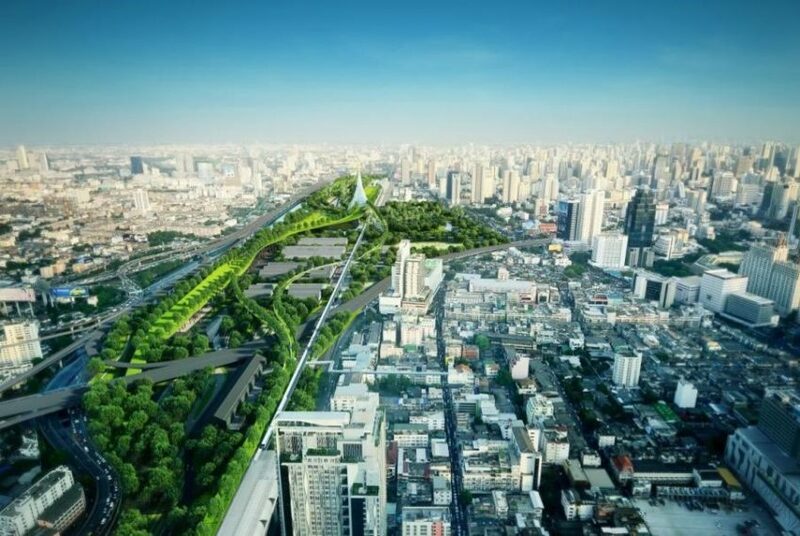 Project is now promoted as Friends of Makkasan and—similar to New York’s Friends of the High Line—it aims to stimulate discussion about why this land is so important to the city and what it could potentially be used for. 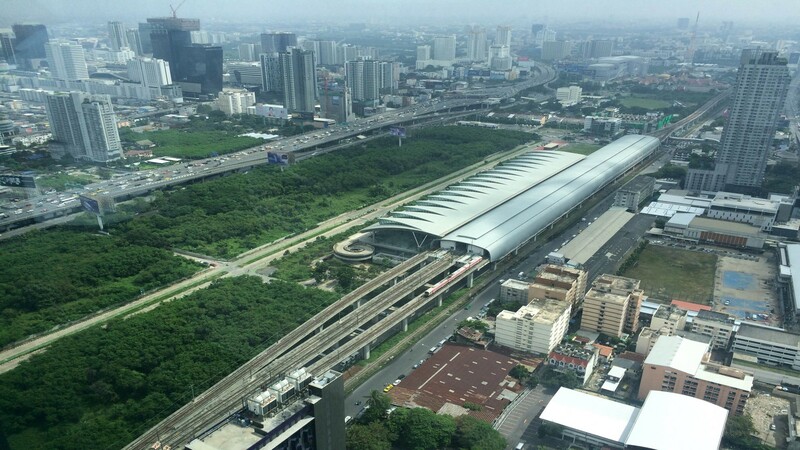 Makkasan’s enormous development potential. 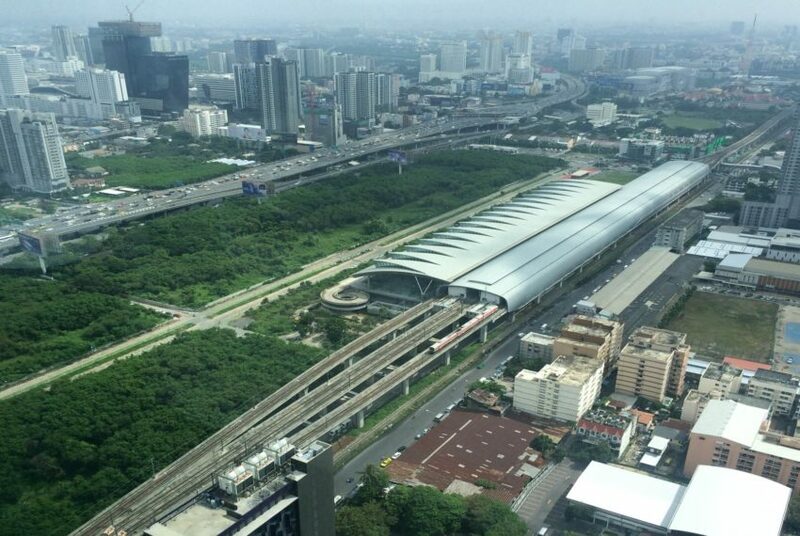 Bangkok’s version of New York’s Central Park. Makassan – Central Park comprises the city’s grandest streetscape. Up and down this idyllic thoroughfare, great architectural masterworks of the last decade create striking vistas that are unmatched anywhere else in Asia. 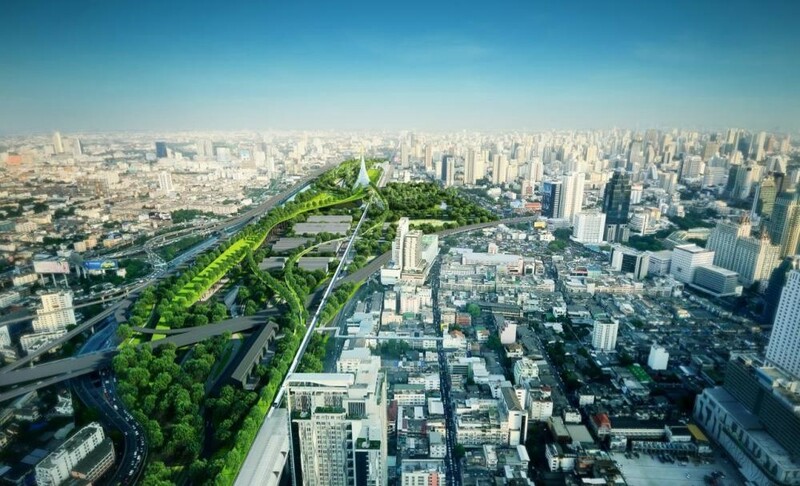 Becoming ”the most desirable avenue in Bangkok”. 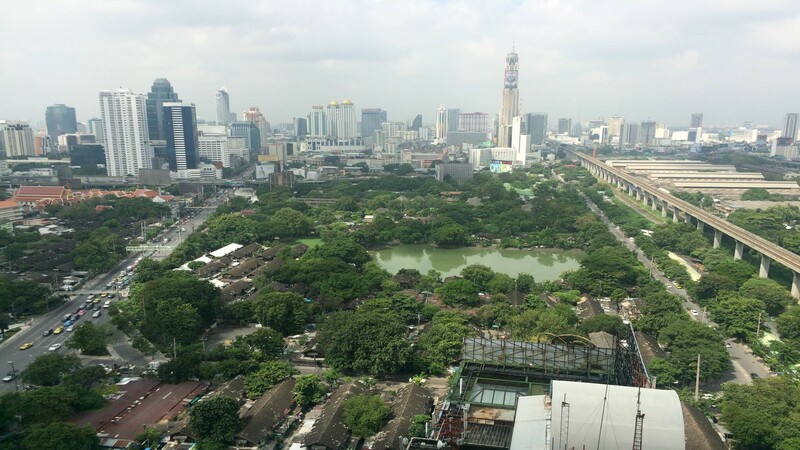 A landmark among landmarks that has forever redefined urban living in Bangkok. 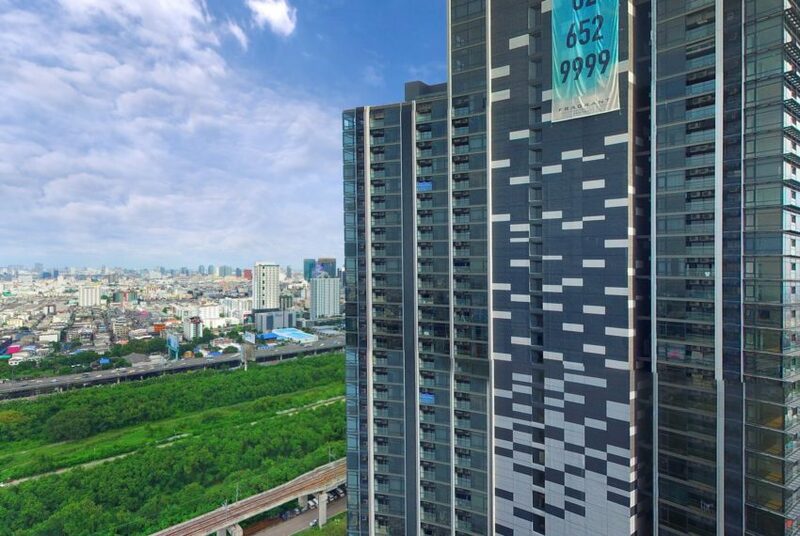 Rising to over Bangkok, Lumpini Suites elevates urban living with the longest South-to-North views of Makkasan Central Park. 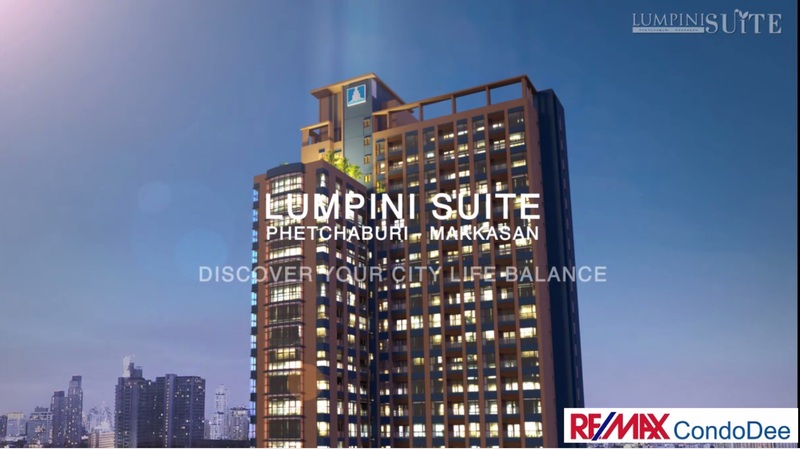 A lifestyle enhanced by the exceptional personal service of Lumpini Management. 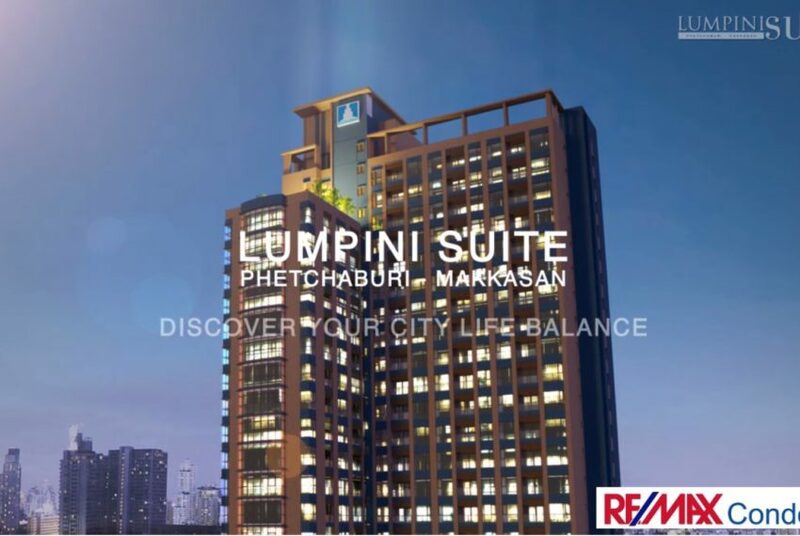 Lumpini Development Public Company is known for delivering solid investments with a stable returns to the people of Thailand. 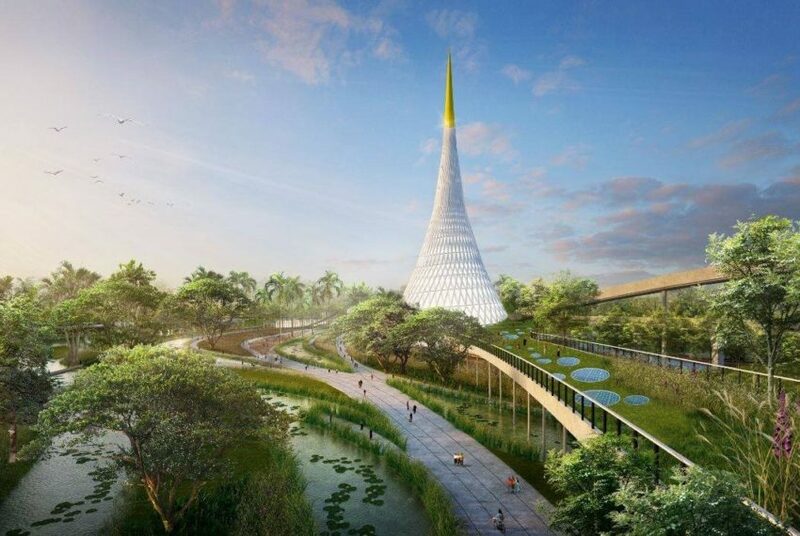 Making them one of the largest real estate developers in the Kingdom. 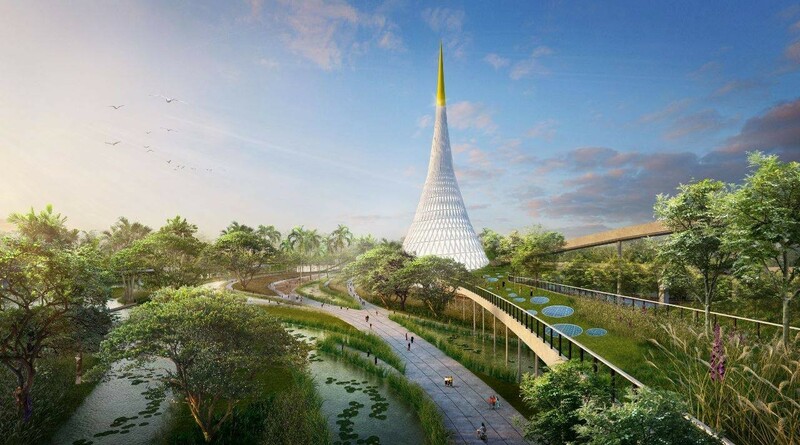 Holding the track record of fastest selling residential projects in the past 20 years. 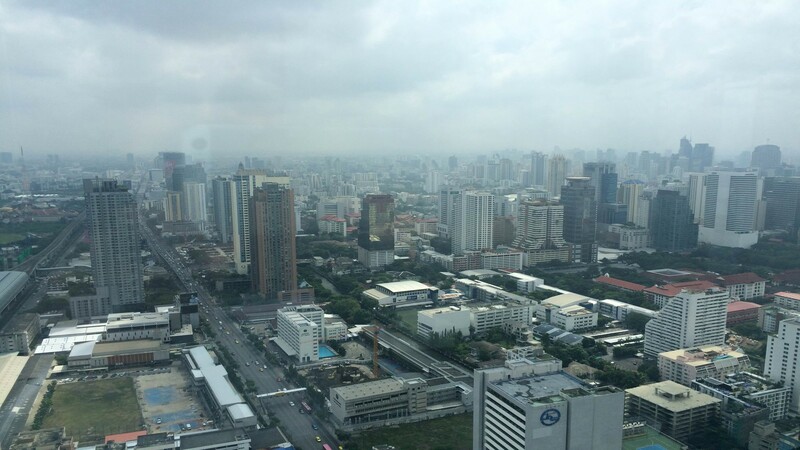 Never before Lumpini Development Public Company has collaborated with agencies or brokers. This unique investment opportunity is now available for you! 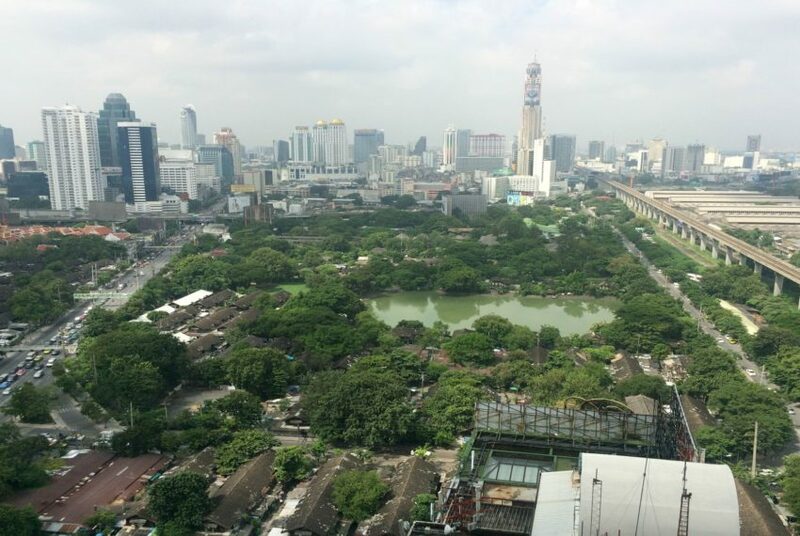 Statistics show that Lumpini developments have an average capital appreciation of 7% with no depreciation in 20 years. Contact RE/MAX CondoDee for available units.